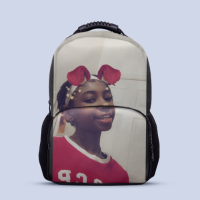 Easy upload your design on outter side of the backpack, to make it special. Heavy 600D polyester, with three layer protection at key place. Was really pleased with this, very good quality for money. Big and cool. Like it!